Sparkly, unmissable, flawless…and the glitter shoelaces aren't bad either. That's right, we're talking about you, someone who knows how to make a good entrance, and recognizes that their feet are the first thing people will see. Then they won't be able to take their eyes off of you. 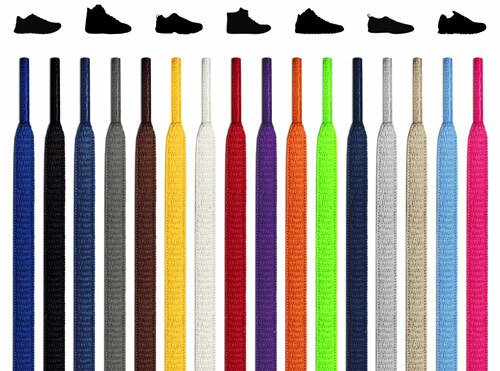 We think it should be illegal to step on a red carpet without these shoelaces, although those paparazzi lights might hit off the glitter and crack their lenses from their absolutely blinding brilliance. If Marilyn Monroe were shoelaces, she would be glitter. Basically, these are the opposite of basic, made for people who are the opposite of basic too. 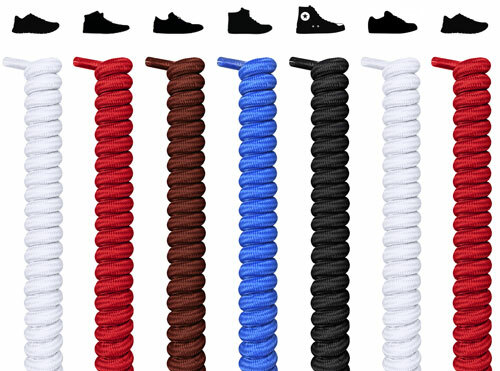 Some shoes come with laces that are so replaceable, they need to be replaced. In fact, some shoes probably should have come with glitter shoelaces in the first place. But I guess that's where we come in! Complete your head-to-toe sparkle by unlocking your inner princess, inner movie star, or inner scientist, we don't pretend to know what makes you so uniquely you. We do know that you're already one of our favorite people just seeing how much difference glitter shoelaces can make. 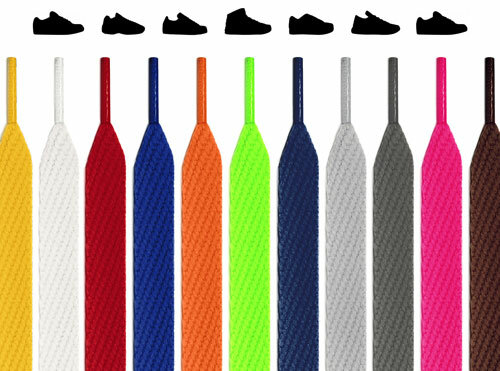 And if you tag us in an Insta pic rocking your shiny new laces, we'll be best friends. 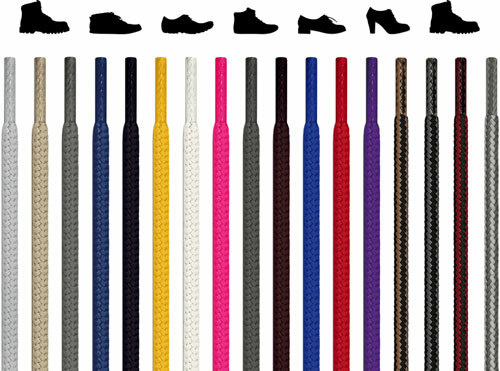 Our glitter shoelaces might look like they were first melted down and then formed by goldsmiths in the days of yore, but these magical footwear accessories aren't just made to look good, but to feel good too. 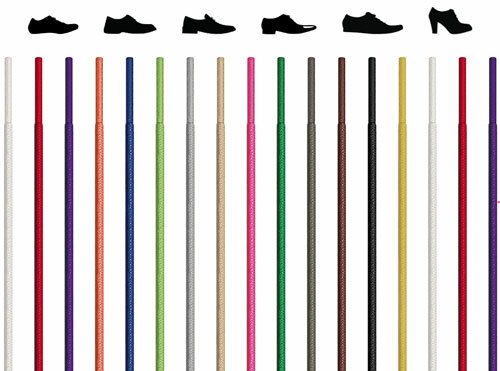 With a 15% stretch, you're given the flexibility you need, whether you're standing, sitting, running, strutting, or dancing. But the shininess is not to be missed, which is why we made them a bit wider than normal to really bring home the emphasis on this unique style. 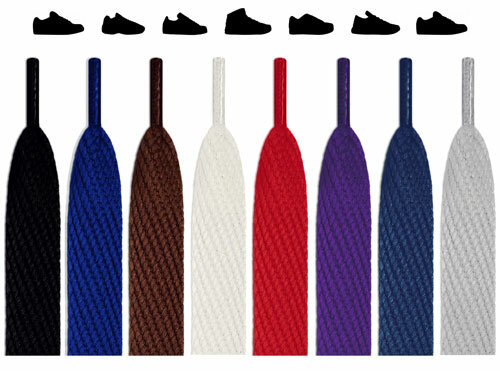 The laces will make their heart skip a beat, and the rest of your outfit will take their breath away. 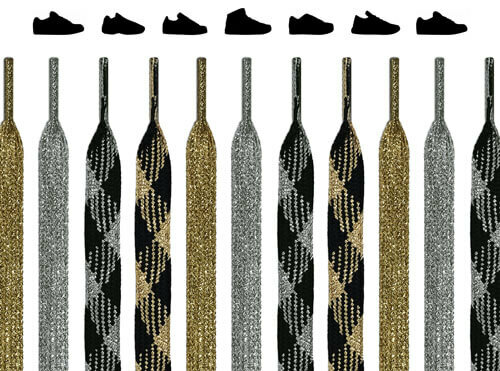 Your glitter shoelaces will never be outdone, and they'll never come undone either. 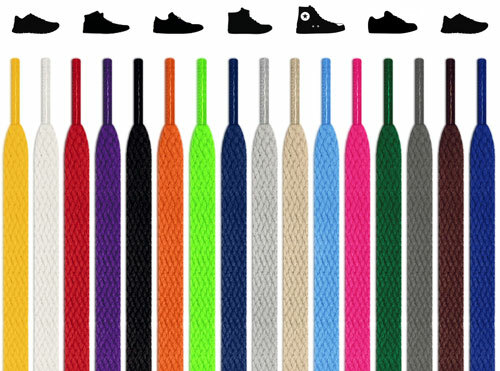 The glitter itself actually helps with the friction, guaranteeing your laces stay tied so you never trip over them or have to bend down to tied them or any other inconvenience you can't afford when you're the center of attention, which you will be with shoelaces like these. The more your shoes pop, the more they match the glitter shoelaces, but the shoes don't have to have a powerful femininity in order to be served well by the glitter. Brighten up a pair of dull-colored shoes, make the most baller pair of hiking boots imaginable, or just add some flare to your go-to kicks. Adding glitter to anything is like adding bacon to anything: it makes it better, and compliments just come with the territory, so be ready to modestly blush even though you know you look awesome. Unlike pretty much every other glittery thing, our glitter stays on, and the shoelaces last forever, giving that same golden shine for years and years. 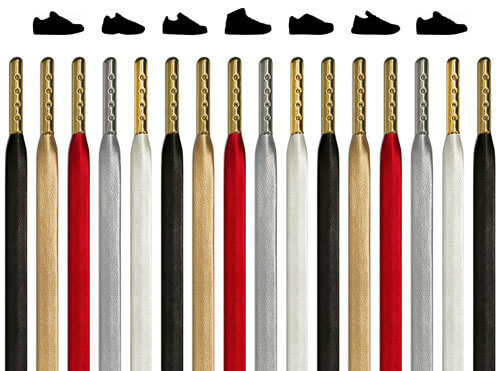 Maybe someday we'll make shoelaces using pure gold for the superrich, but for now, these are as luxurious as shoelaces get, priced like they're not the best quality, most eye-catching laces on the market. Did you know that the cleaner the air, the better the visibility of the stars? 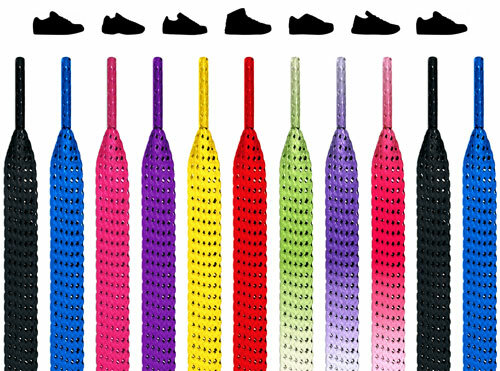 On a clear day, you can look up and see what look like giant versions of your sparkling shoelaces, right there in the night sky. And we want to see more of it. 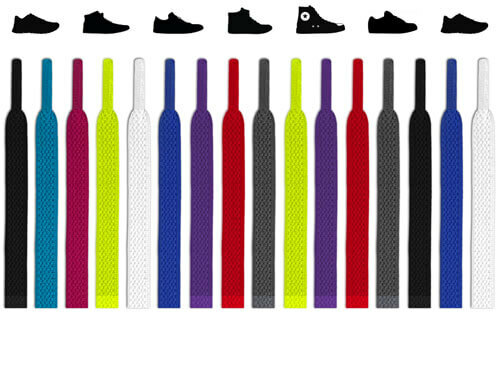 That's why all of our laces are certified STANDARD 100 by OEKO-TEX®, meaning all of our shoelaces are produced in the eco-friendliest way possible. Learn more here!